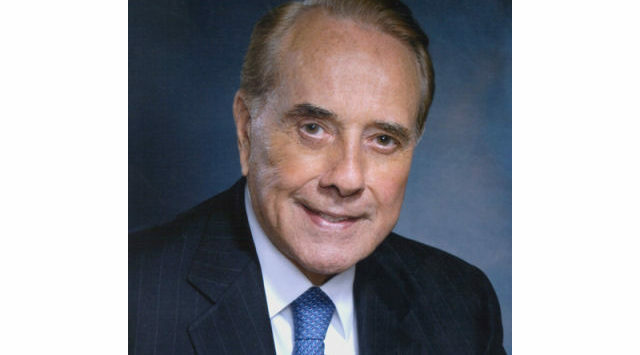 Former U.S. Sen. Bob Dole plans to visit his hometown of Russell and other northwest and north-central towns during the next leg of his homecoming tour of all 105 Kansas counties. The 91-year-old Dole lives in Washington, D.C., and is making the trips to greet longtime friends and supporters. Dole is scheduled to begin the trip Saturday in Hays for the dedication of a lobby at Fort Hays State University in honor of his sisters. He’ll also appear in the university’s homecoming parade before heading to Stockton and Phillipsburg. Dole will be in Osborne, Smith Center, Mankato and Beloit on Sunday, then visit Russell High School on Monday. The upcoming trip will be Dole’s ninth of the year. The 10th and last will take him to southeast Kansas in late October.